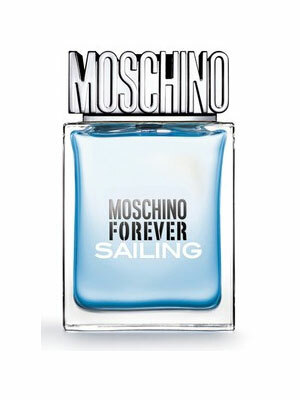 There are 4 reviews of Moschino Forever Sailing. As the name suggests,the fragrance is Like a cool ocean breeze and gives you marine feeling.a delightful aromatic fragrance that has a distinctive fresh modern scent full of energy and cleanness that makes you feel good with yourself.the most important thing is that woman love this kind of scents.the flanker is not quite masculine so can be safely unisex.Casual,Youthful,Refreshing,Summery,Soapy, Woody,Uplifting,Bright,Clean,Ozonic,Inexpensive and Innocent. 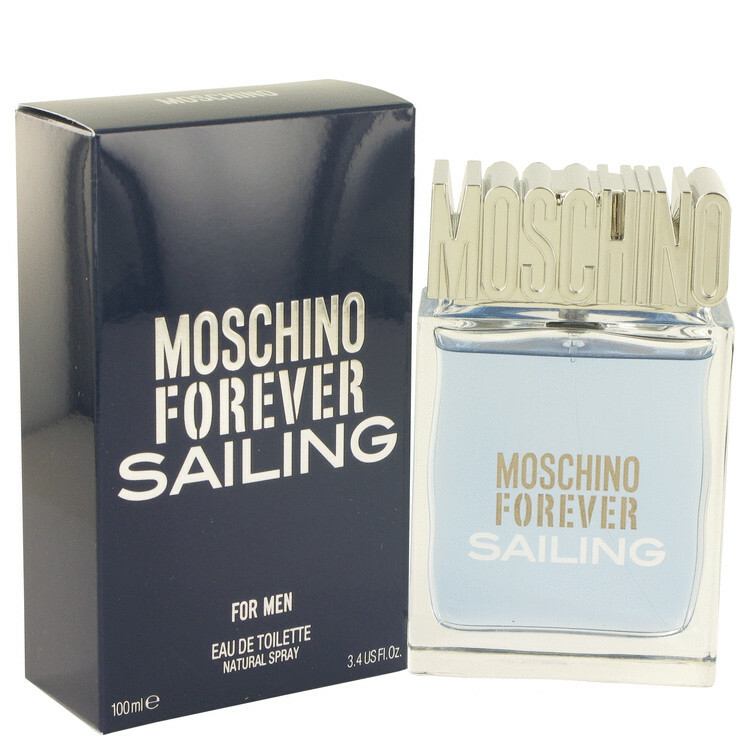 Top notes of Forever Sailing will enchant you with accords of green mint and juniper combined with citruses zest(lemon and grapefruit)and soapy lavender that is very bright and sharp.the notes are set against warm,woody undertones of musk,patchouli and cedar.the result exudes energy of citruses,marine notes and woods that reminiscent of the blue sea waves.totally it is not an unpleasant scent anothers of the legion of light inoffensive aromatics that is ideal for long summer days. More testing needs to be done to see how it evolves and what kind of longevity I get out of it....but can say that so far, I'm extremely happy with this cheapie but goodie! This interesting fragrance name drew me to sample this. I was able to get a mini bottle on Ebay for pretty cheap. Forever sailing opens with that common tangy sour fruit note (I'm assuming kumquat or some type of tomato leaf/citrus combo). Promptly the dominant mint note comes out, the sour citrus note fades and takes a back seat, and quickly I get lots of lavender behind the mint (within 3 minutes of application). Now I'm left with a mint, lavender, citrus, and some nice musky woods all at once. This one quickly develops into the scent it was made to be. It's not very unique, but it is different enough for me to not be able to compare it to anything right off the top of my head. There's a smokiness going on. Although the notes and composition isn't entirely unique, the fact that it's still aiming for an aquatic feel, without the typical aquatic notes, make it somewhat different. Giving this a thumbs up would be lying, because it's not something I could recommend. However, if you are looking for an aquatic that takes some risks, this is something you should check out. Also, from a distance it smells different than close up. From a distance it's a very generic, although nice citrus, zesty, sort of sour type, while if you go for a whiff up close, you'll get the darker side of it, the lavender, the woods, and musk, almost like a patchouli too. The mint dies off within 10 minutes on my skin, not completely, but about 75% gone. I'm confident with this review, as I have worn it numerous times. This wasn't based off of a sample wearing. I will likely finish the mini bottle, but I don't see myself buying this in the future. There are no member images of Moschino Forever Sailing yet. Why not be the first?